Our washroom and joinery products are designed to be as robust and practical as they are stylish, making them ideal for public sector projects including secure accommodation settings. As well as working to BREEAM standards where required, we’re also NOMS Safer Cell Compliant and Home Office Approved. It’s vital that secure accommodation facilities are manufactured to the highest standards so they’re hardwearing enough to withstand the rigours of such an environment. For washrooms within a secure accommodation setting, we use durable, hygienic and easy to clean materials such as Solid Grade Laminate (SGL) and solid surface materials to ensure that facilities are safe and secure. As well as being highly durable and hygienic, solid surface Corian is also available in a wide range of different colours and patterns to create an attractive finish without compromise. 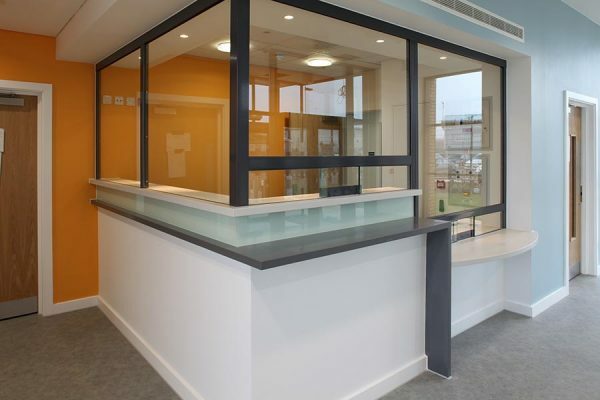 Together with our bespoke joinery team we’ve designed, manufactured and installed charge desks, reception counters, bulkheads, cell benches and ancillary furniture specifically designed for police stations.